RainSoft is pleased to offer a complimentary water test for your home in Dallas, Texas, or a neighboring community. A water test can help you identify any additives or contaminants that could be affecting your home’s water and causing unwanted issues. If you are unsure whether you need a home water test, take a moment to think about the many ways water plays a role in your daily life. From brushing your teeth and taking a shower to washing your clothes and doing the dishes, the ways in which you use or are affected by water are numerous. Since every home’s water is different and the elements in your water are not always easy to detect, a RainSoft home water test is the best and most convenient way to find out exactly what’s in your water. Our process is simple: We start by scheduling a time for one of our knowledgeable representatives to meet with you at your home and perform a water test right in your kitchen that will yield immediate results. The RainSoft representative will then go over the test’s findings in detail and explain all the possible solutions we can offer that will eliminate problem-causing contaminants identified in your water. 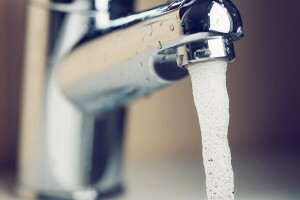 Plus, if you decide to invest in any of our products, which include drinking water systems, water softeners, and whole-house water filters, you can rest assured knowing that they all come with a Limited Lifetime Warranty and have all been Tested and Certified by the Water Quality Association. If you would like to learn more about our products, and to schedule a complimentary home water test for your residence in Dallas, TX, or another surrounding community, contact RainSoft today.